Set right on the edge of a pristine stretch of golden sand, Coté Plage is the perfect place for sun worshippers to use as a base. Make sure you secure your spot by booking through LuxCamp. 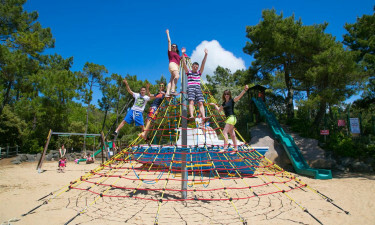 The picturesque forest of Saint Jean de Monts can be found at the edge of the site and provides visitors with special trails to explore on foot or by cycling. 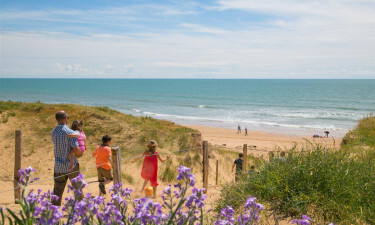 There is also plenty to discover in the rest of the Vendee region, while cycling paths also run along the coast. Guests will be able to walk to the pristine sandy beach from their mobile home in a mere matter of minutes as the beach is separated from the site by a fence. There is plenty of space to spread out on the sand and this is a luxury camping experience that should not be missed. 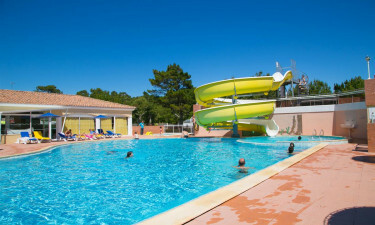 The whole family is sure to love splashing around at the outdoor water park, which boasts waterslides that are suitable for people of all ages. The adult pool is 25 metres in length and is adjoined by a paddling pool for the little ones.